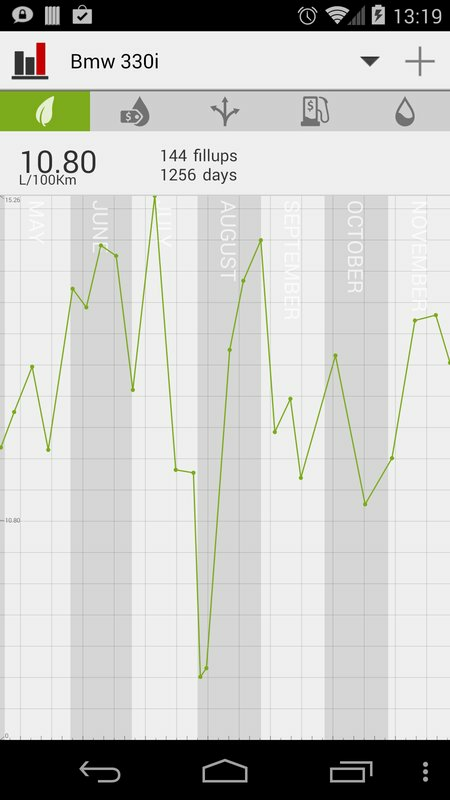 Track and chart your fuel usage over time. Track, and chart your vehicle's fuel consumption over time. Mark Fillups are partial to have them ignored by the efficiency calculations. Fillups are grouped by vehicle. Have Fillups backed up automatically to the SD card. Graphical overview of the vehicle's fuel efficiency, fuel price, distance, fillup price, volume.